This item has been discontinued, Please try our selection of Controllers - Fans for an alternative. C.A.P. 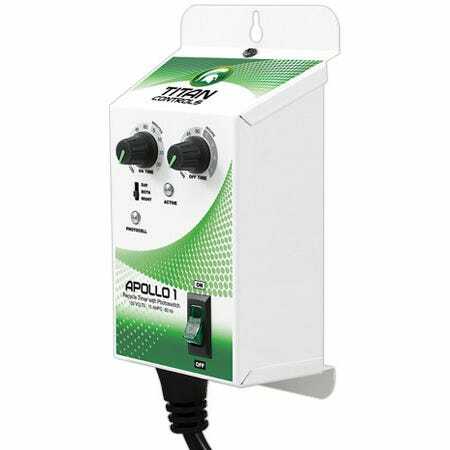 is no longer in business, we recommend going with an alternative, comparable replacement controller such as the Titan Controls Apollo 3. 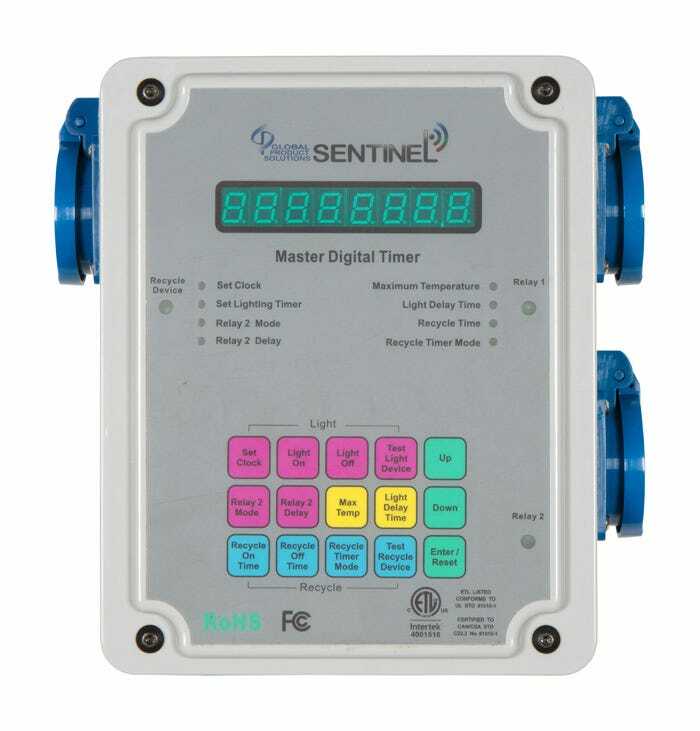 CAP NFT-2e Preset Cycle Timer 3 Minute on/5 Minutes off Grow Room Controller The NFT-1e and NFT-2e fixed cycle timers by Custom Automated Products are the simplest devices available for turning a device ON and OFF at precise intervals. 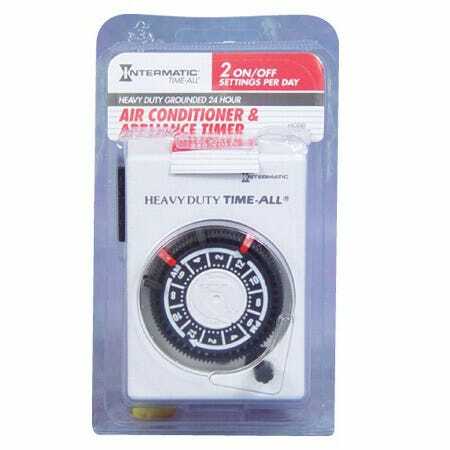 They are great for turning on and off pumps in aeroponic and nutrient film technology systems. 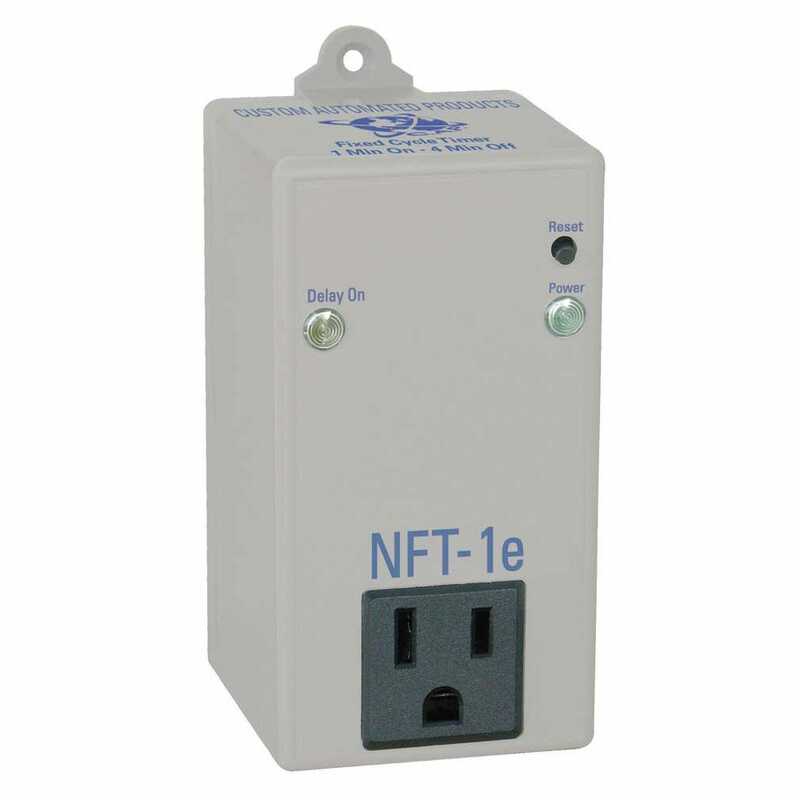 The NFT-1e timer is pre-set to turn ON for 1 minute and OFF for 4 minutes. 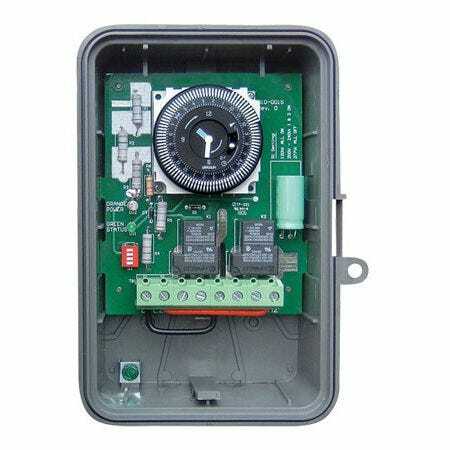 The NFT-2e timer is preset at 3 minutes ON and 5 minutes OFF. 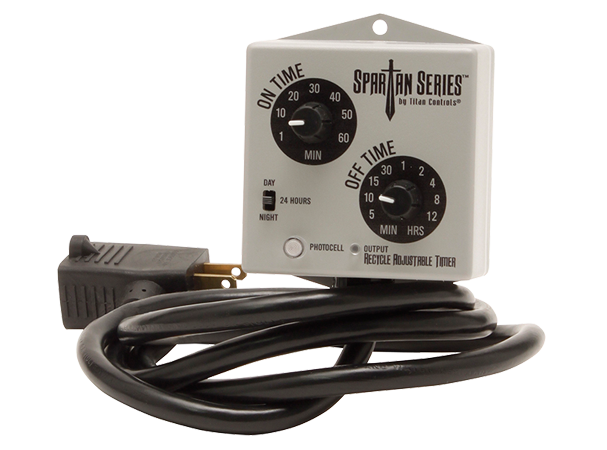 NFT timers are rated for 15 amps @ 120 volts. 5 year warranty. 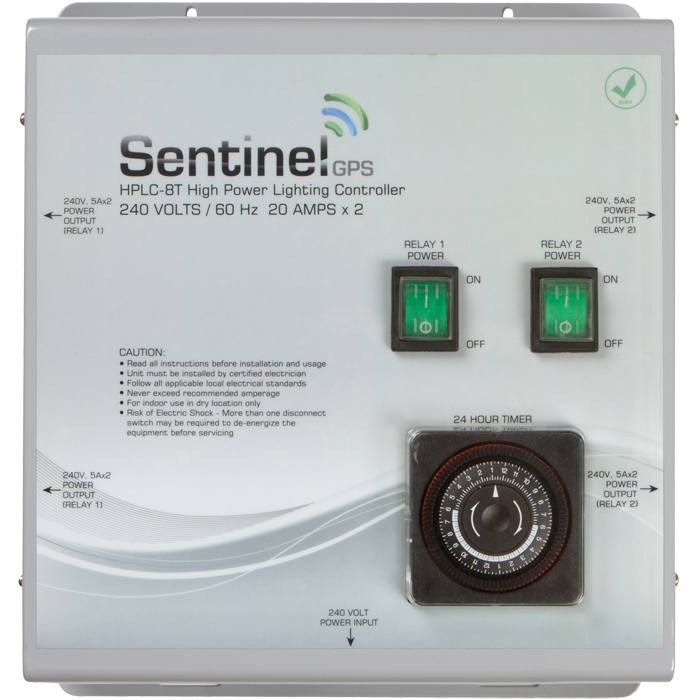 This product has been discontined and is no longer available The PTC series of Day/Night Controllers by Custom Automated Products are perfect when you need to turn a device on only during daylight hours or only at night. A photocell senses whether it is day or night, and turns the device plugged into it on or off depending on which model you are using. The PTC-1 turns on whatever is plugged into it during the day when the lights are on. The PTC-2 turns on the device during the night, when the lights are off. 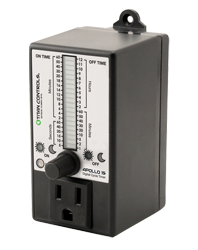 PTC controllers are rated for 15 amps @ 120 volts. 3 year warranty. 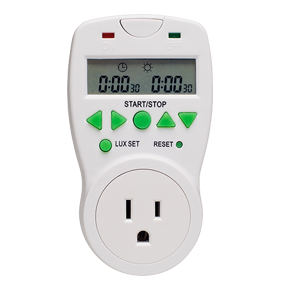 This product has been discontinued and is no longer available The PTC series of Day/Night Controllers by Custom Automated Products are perfect when you need to turn a device on only during daylight hours or only at night. A photocell senses whether it is day or night, and turns the device plugged into it on or off depending on which model you are using. 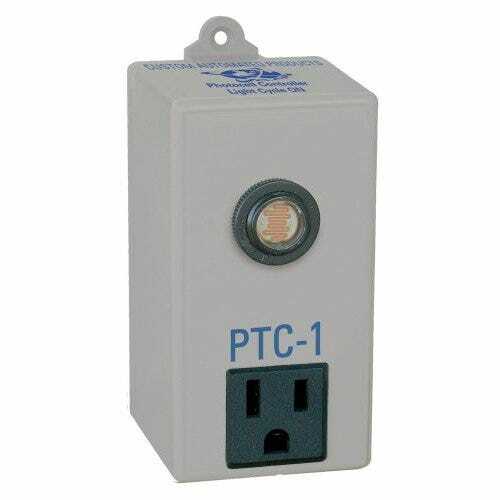 The PTC-1 turns on whatever is plugged into it during the day when the lights are on. The PTC-2 turns on the device during the night, when the lights are off. 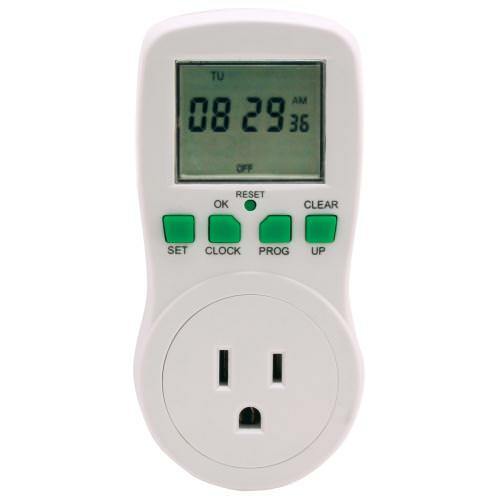 PTC controllers are rated for 15 amps @ 120 volts. 3 year warranty.